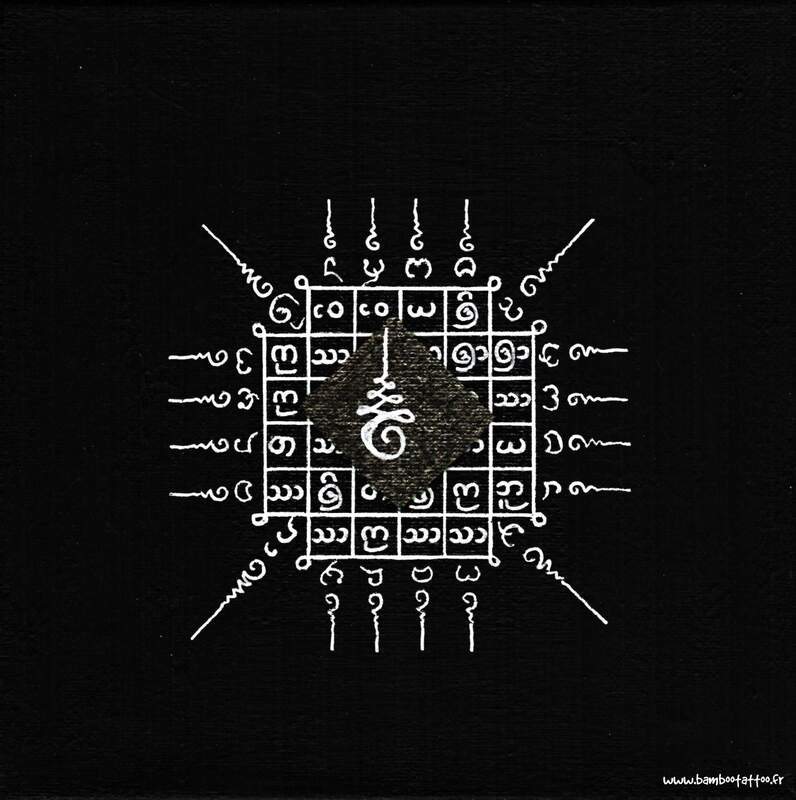 10) Peinture YANTRA. Modèle unique, fait main par Raphaël JARRY. Toile coton, bois, encre blanche, feuille d'or, peinture acrylique, vernis. 10) YANTRA painting. One off model, handmade by Raphaël JARRY. Canvas cotton, wood, white ink, gold leaf, acrylic paint, varnish.